The Reservoir Hills Sports and Recreation Club is encouraging volleyball enthusiasts to attend a special meeting at the Siripat Road Grounds in Reservoir Hills on Sunday, 7 April at 3pm. 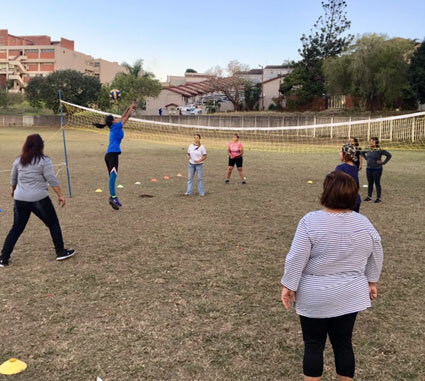 “With the cricket season now over, volleyball would resume in Reservoir Hills, and hopefully all volleyball enthusiasts assist in getting this program back on track,” said Selvan Pillay, official of the club. “Although volleyball got off to a good start, it was very evident that our youth showed very little or no interest in this exciting sport. We encourage our youth to get involved so that volleyball can take its rightful place in our sporting calendar. Volleyball was once a very popular sport in our community and we would like to bring that vibe back,” continued Pillay. Pillay said they plan to meet and find a way forward to grow the game in the community. “We further encourage our educators to be part of this exciting program, concluded Pillay,” said Pillay.